People like to throw around the word ‘legendary’ for all sorts of things that just don’t fit the bill. In this one instance, Shure’s amazing SM58S microphone, it is completely justified. It is an integral part of music’s culture, tirelessly playing its role since 1966. Today, it is the standard option for live performance although the term ‘SM’ represents studio microphone ironically. This is the stage/live microphone that everyone who has performed from Stadiums to small town bars has used. There is a reason it’s one of our top microphones for singing. It’s just that good and it has the performance history to prove it. For most users, there are two key purposes for using this mic. 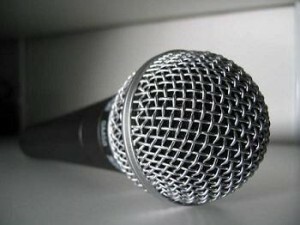 First, it is very durable live mic for vocals, which is also the reason why others use it. Due to good rejection display, this one is suitable for live performance in outdoors where the included windscreen / popper blocker aid in overcoming the wind. Although technically not the best sounding for vocals, its a workhorse when used as a vocal mic for live performances. Further, you can unhesitatingly drop and throw the mic. It’s built like a tank. It is somewhat of a closed-off sounding device. Having a mid-focused presence, which aids the vocals cut through and give a boxy tone throughout live recordings. That’s where the SM58S shines and is different from our top singing pick the Audio Technica 2035 which would be used exclusively indoors. Second, this mic is also ideal for dynamic recording using a guitar or other loud instruments. You can consider this legendary mic for amateur recording, live performances, outdoor events, home studio recording, professional recording, and DJ / mobile DJ/ mixing tasks. It is the jack-of-all trades that you can rely on again and again. • Well, the very first reason to consider this mic is that vocalists all around the world have used it reliably. It makes most vocalists sound superb by introducing the right amount of treble and bass as well as by dropping out a mid range clue. • Shure SM58S has all the power to endure even the hardest or longer schedules, and it works for years. Because it is a dynamic design, the feedback rejection is decent and noise is low. It is legendarily durable. Just ask any veteran rocker and you will know how they rocked the stage with their Shure SM58. You too will feel it while clutching the rightly balanced handle in die-cast metal and lifting the stiff mesh grille of steel up to your lips. • The “S” latest version in theSM58 family (which is the version we recommend). It has an on/off switch for muting quickly while on the stage. • The latest version is designed for vocal application. It features finely tuned mid-range response for improved vocal tracks’ presence. There is no risk of vocals being lost in the mix, as this mic cuts via the instruments as well as places you out in the front. That desired crisp focus in your music is ensured, distinguishing the hobbyists and professionals. 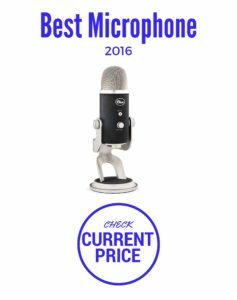 • You’ll give serious props to the technology Shure has in this mic that assures a noiseless performance. . The special spherical filter introduces both clarity and smoothness to backing as well as lead vocals. Further, the breath and wind sounds are less, reducing the ambient noise, which usually damages the recorded tracks as well as live sound equipment. A genuine shock mount inside also adds the crispiness to your performance by minimizing handling noise. Even the yelling pops and creaks due to pulling of microphone from its clip are eliminated. There is no fear of floor vibrations entering into the signal while the mic is mounted on a stand. 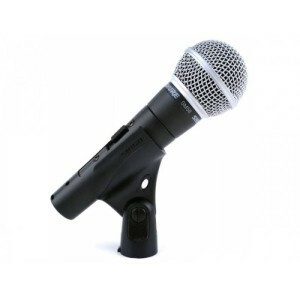 • The mic features unidirectional cardioid pattern for superb control. Live sound and recording tasks both need good microphone isolation so that the outcome is of high quality. If there is no isolation, one musical source simply mixes with another. This makes it difficult to find out what to fix and how to do so. However, this issue is not there with this mic due to unidirectional, cardioid pattern. As the audio external to the pickup pattern are rejected automatically, it is easy to position the microphone to hear your preferred source of audio only. You can enjoy clean, separated tracks for swifter editing in a studio, while you are ensured of strong input levels without bothering about feedback on the stage. There is a 180-degree spinning mic clip to give you perfect placement of mic. The SM58 is a bit on the heavier side. It’s got some weight to it (which we here personally like in a live vocal mic, it won’t fly out of your hand). So it may not appeal to those who need/want a lightweight mic or have hand problems. It is also not the choice for those that are really looking for high end ‘super-clarity’ model type microphones where that is the key purchasing decision. For that you should definitely check out our picks for the best head microphone for singing and check out the Sennheiser XSW 52-B XS Wireless Headset System . If you’re looking for critically perfect live vocals it makes more sense to invest in a higher end model for a hearable difference. 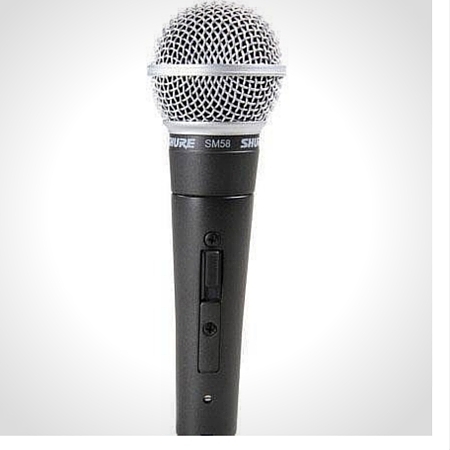 The Shure SM58 is is our pick for the best vocal microphone for live performance. It’s still the go-to mic for sound engineers, producers, and musicians. If you’re looking to command the stage with a mic where you’ll sound great and is tried and tested this is it. It has no match for a tough design, great sound and peace of mind. There is a reason Shures SM58 family of microphones has been used by everyone for decades. You simply can’t find a better choice for a great mic for live vocals in any situation. UPDATE: There are usually some awesome package deals (including, a boom mic stand, and XLR Cable) for just a few dollars more. It’s definitely worth checking out for a total turn-key solution.